– Furniture at Treasure Chest Collectibles? You Bet!!! Home News Furniture at Treasure Chest Collectibles? You Bet!!! Furniture at Treasure Chest Collectibles? You Bet!!! Published on May 8, 2015,	by doyle in News. We hear people say fairly frequently, “Oh, you don’t sell furniture, do you?” Well, we beg to differ. While we don’t usually have the big furniture items (dining room tables, bed sets, dressers, sofas, etc. 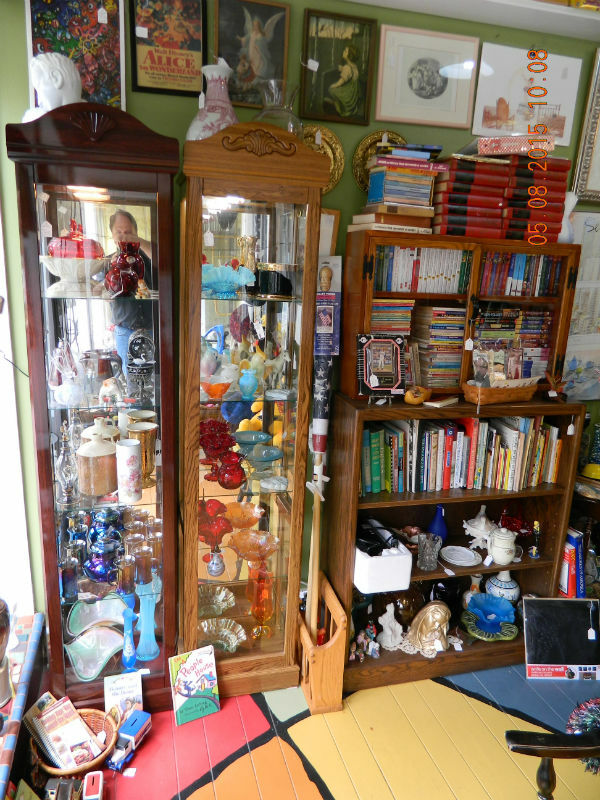 ), we have many great accent pieces of furniture: Curio cabinets, wall display shelves (including printer’s drawers), bookshelves, side/end tables, chairs, lamps, plant stands, typewriter tables, quilt racks, framed art, and a fantastic selection of mirrors. Don’t let the items on the furniture fool you…the furniture pieces are also for sale!!! Stop in for all your accent furniture needs at Treasure Chest Collectibles.